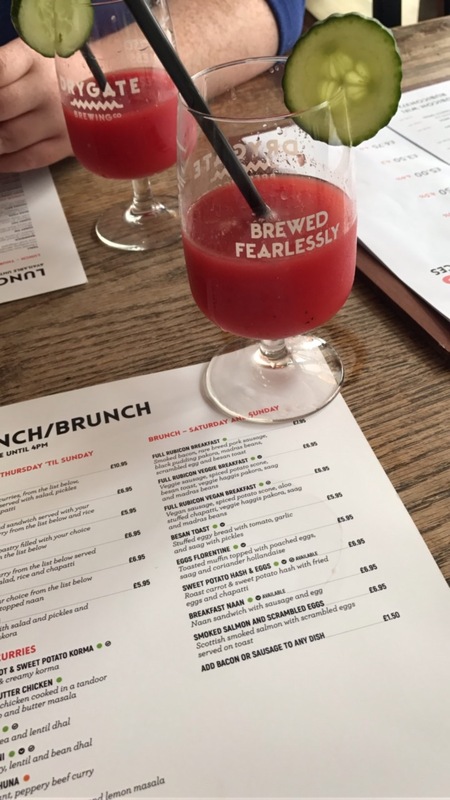 I feel like this blog needs to be renamed to resemble the brunch diary it’s fast becoming! I can’t get enough brunch. 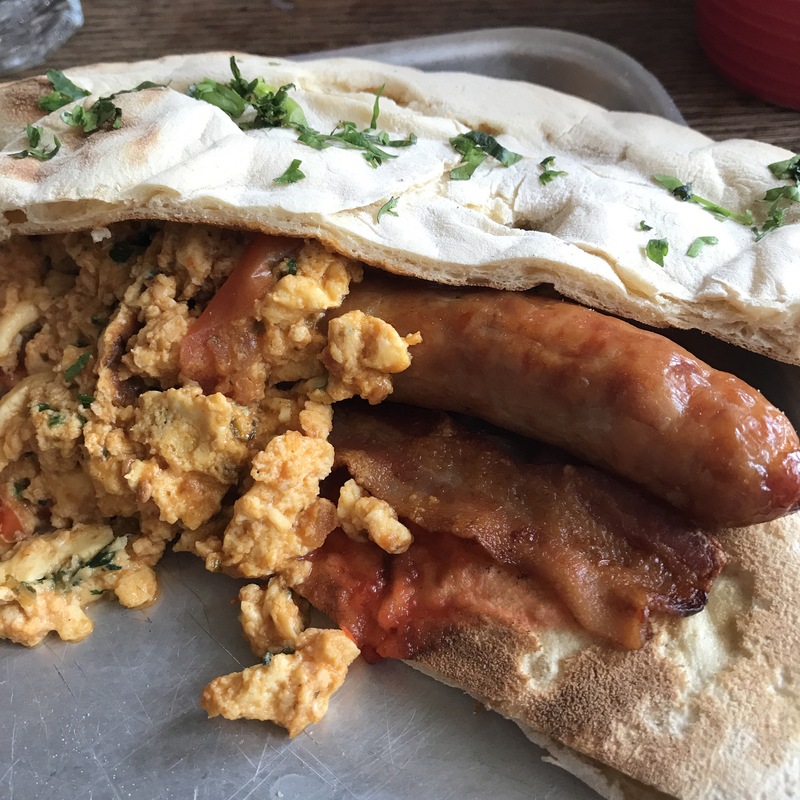 This is a very interesting brunch entry, mind you. And Indian brunch. 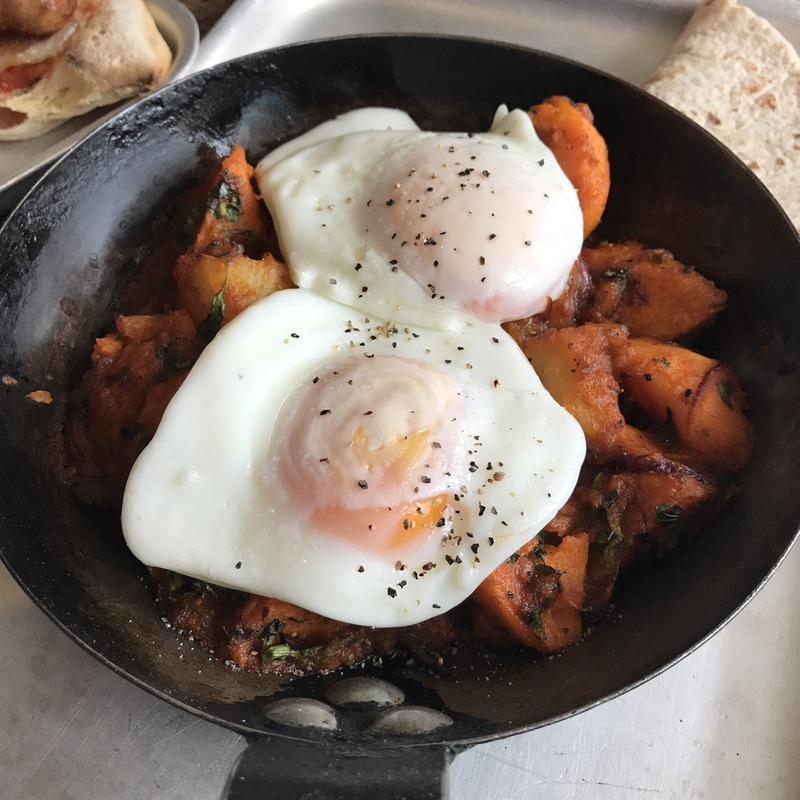 I wasn’t sure what to expect at all, but I will tell you this – Indian brunch is a thing. A very, very good thing. I blogged about Crossing the Rubicon before – see the review here. It’s a great wee place but I wouldn’t have even considered it for brunch until now! 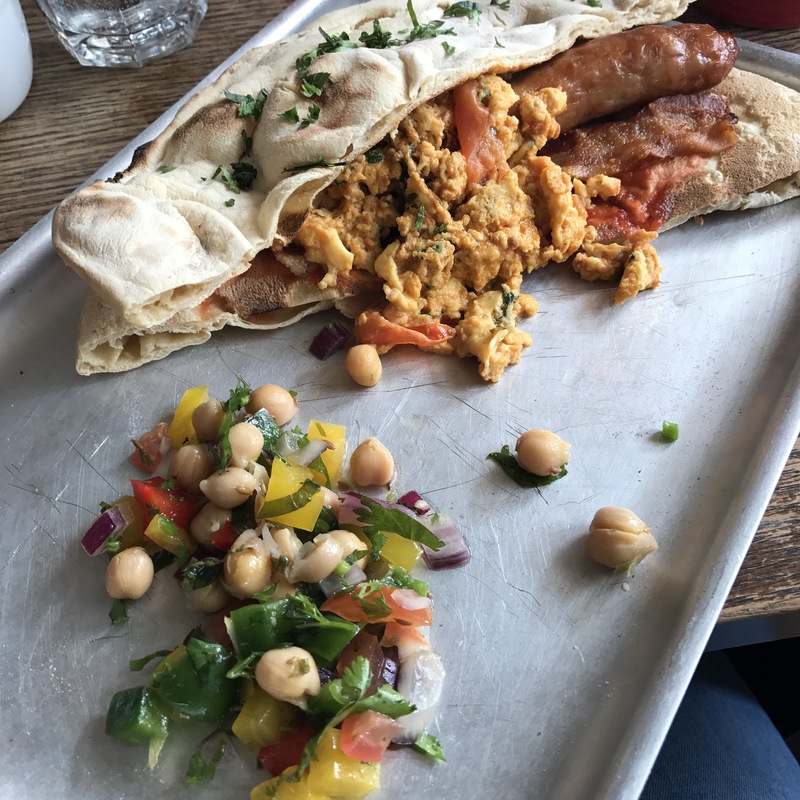 For not even being sure I wanted to try this place for brunch, I became fascinated with the menu and their little twists on the classic dishes. I panicked as I sipped my lime & watermelon cooler. After all the tension and unease, I ordered well. Very well. It’s hard to describe the scrambled egg without profanity to be honest. They were absolutely unreal. Tossed with fresh coriander and spices to give a beautiful aromatic taste of spice rather than nippy heat. They were absolutely divine! The bacon was nice and crispy and the sausage was a classic wee link sausage. I only ate the bottom piece of naan as I couldn’t pick it up but it was more than substantial even at that. It is so simple, but so wonderfully delicious – 10000% recommend it! This was my second choice and as much as I really did enjoy it, it definitely belongs in second place to the aforementioned delicious scrambled egg. 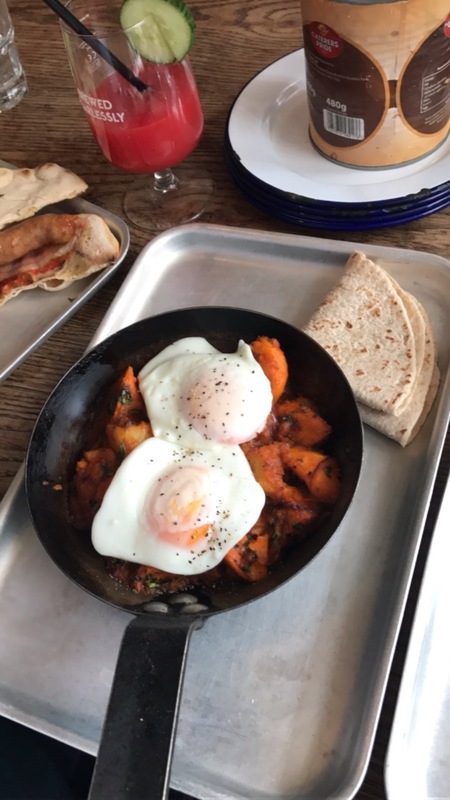 This was a mixture of carrot and sweet potato in a spice and coriander mix, with two fried eggs on top. It was delicious – but for my personal taste it was a tad sweet due to the vegetables. Definitely worth a try though! On a side note, the madras beans that come with some of the other dishes are beautiful! A wee side order of them is part of my plan for next time!